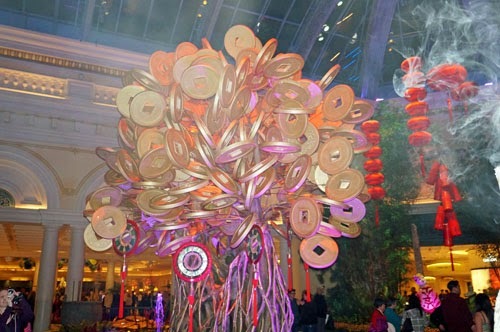 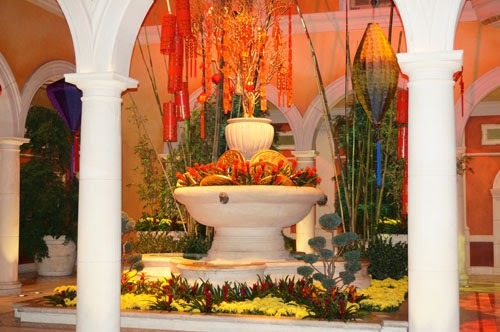 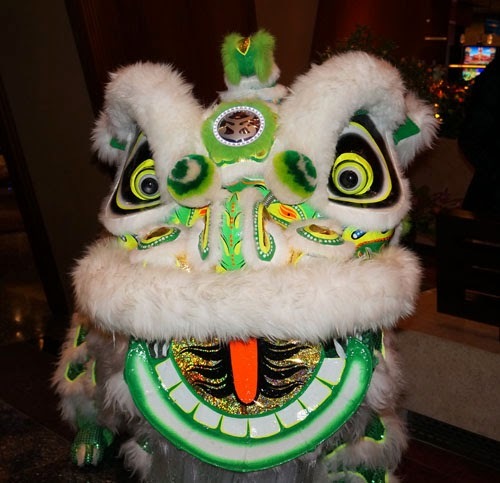 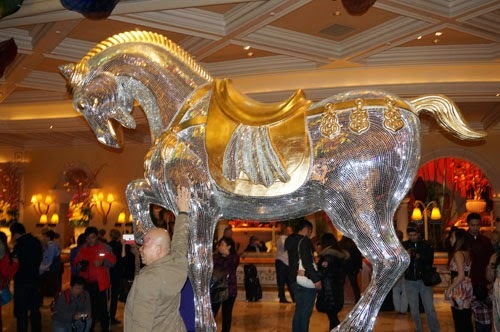 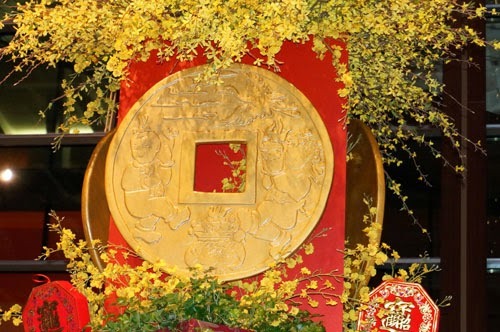 The Year of the Horse celebrations around Vegas are going on until March 11. 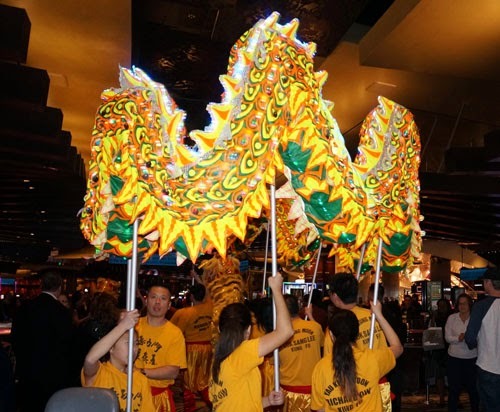 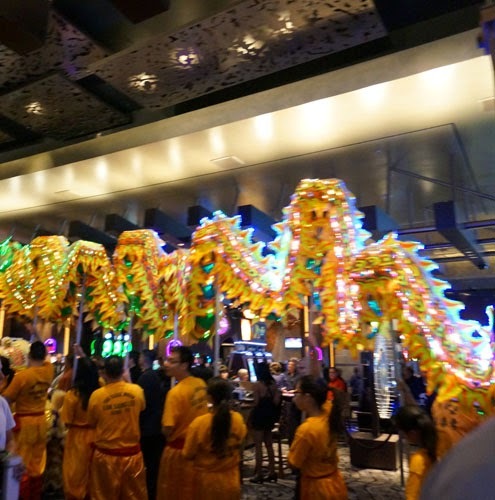 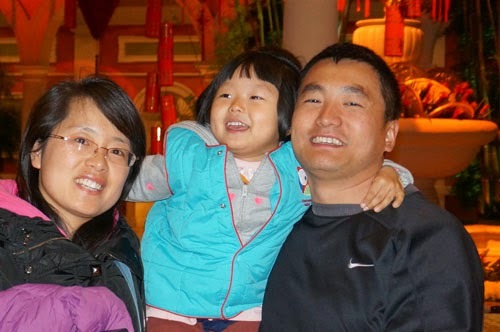 Next big celebrations are at the Las Vegas Chinatown February 9 and February 7 at 9 pm Fremont Street Experience will host "Chinese New Year in the Desert". 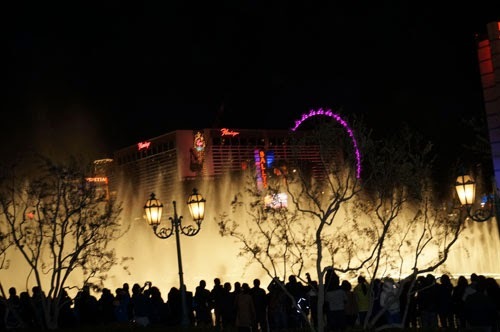 On the background you can see the light show of the High Roller at The Linq (the world’s tallest observatory wheel at 550 feet) which they were testing the day I took this picture. 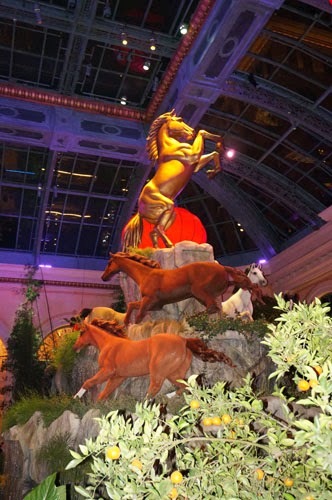 The grand opening is likely to be held in April. 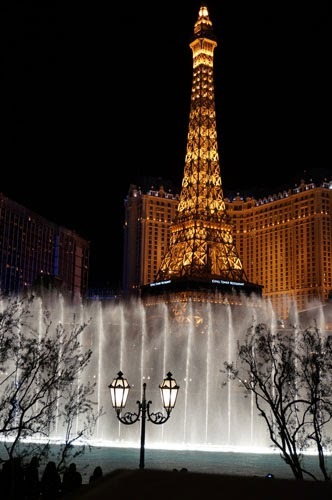 more about the High Roller.